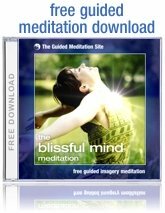 Unable to Meditate? Let's Get You Back on Track! Do you feel as though you are unable to meditate? Well do not despair! Everyone can meditate, and I aim to take you a few steps closer to success with the advice in this article. If you have already learned how to meditate, but you still feel that you just can't do it, then this article is for you. Most people who feel that they can’t meditate are encouraged and illuminated by the meditation tips below. However, if for any reason you don't find the answers you are looking for, feel free to fill out the contact form at the bottom of this page to request more free information. Are You Expecting Too Much From Yourself? As I mentioned in this article on advice for meditation beginners, it’s not uncommon for newcomers to meditation to become trapped by the belief that they must achieve complete and utter mental silence through meditation. This can really lead to frustration and disappointment. Some people, after practicing meditation for a few weeks, or even for some months, still find it extremely difficult to stop their mind from wandering off. You know what? This is NORMAL! It does not mean that you are unable to meditate. Sure enough, total mental silence is the ultimate goal of meditation, but for meditation beginners your goal should be to just reduce the amount of mental activity you experience. Don’t judge yourself harshly if your mind wanders during meditation. This is normal, and even the most experienced meditators still get lost in a few mental wanderings during their meditation...sometimes more than a few. So remove the phrase "I am unable to meditate" from your vocabulary. You can meditate, you might just have been holding on to a false image of what meditation is supposed to look and feel like. If you are really struggling to calm your mind, then my best advice to you is to take a step back and make sure you are not trying too hard. Please continue to meditate as usual, but give yourself permission to be imperfect. If your mind wanders off, and it will, remind yourself that this is acceptable. For some people, just this realization alone is enough to take the pressure off their meditation practice and make room for a more relaxed approach to meditating. Sometimes, we just need to get out of our own way! Over time, you will find that brief moments of silence between your thoughts gradually expand into longer and longer moments, and then one day, before you realize it, you’ll find yourself lost in bouts of long, deep, serene meditation. It does get easier. There is a good reason why guided meditations are so popular these days...they really do make meditation a lot easier to enjoy. If you have been struggling to find inner peace and to silence that unruly monkey in your mind, then a guided meditation might just be your saving grace. 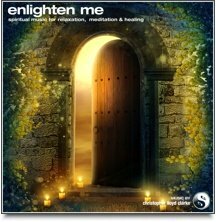 When you listen to a guided meditations you can just relax and let your guide take you on a relaxing journey. There's no strain involved, no special techniques required. Guided meditations take all the pressure away and they can make meditation more of a recreational experience than an exercise routine. Mindfulness bells have been used for thousands of years as a focal point for mindfulness meditation. A mindfulness bell recording features the sound of a specialized meditation bell that helps to clear your by giving you a very calming, pure sound to focus your attention on. Mindfulness bells can be very helpful if you've been struggling with mantra meditation or breathing meditation techniques. Sometimes you just need a little stimulation to give you something to focus on...a sound that draws your mind into a state of stillness, but without becoming a distraction. With Mindfulness bells you simply absorb your attention in the sound of the bell. No mantra is required, no special breathing techniques are needed, you can just let your awareness be consumed by the repetitive sound of the bell. Your mind will become clearer and more calm with each and every bell strike, and as the bells fade into silence, your mind is given the opportunity to experience a very natural state of stillness. If you want to make positive progress with meditation then it’s important to meditate with regularity. If you sit to meditate just once or twice a week, you will probably find that you don’t gather enough momentum with your meditation practice to really experience the type of prolonged, deep inner silence that you yearn for. Any meditation is better than none, and if you only meditate occasionally then you still deserve a pat on the back for making time for such a healthy practice. You’ll still experience many of the benefits of meditation. However, if you wish to become someone who can find stillness and peace in all moments of life, and someone who can delve down into deep inner silence, then daily meditation is a must. Think you are unable to meditate? Dedicate a little more time to meditation and you will see results. Meditation is a passive form of relaxation...that is to say; it is not something you can force. If you live a particularly hectic and stressful life, then you might need to dedicate even more time to relaxation activities than you do already. Taking some time to enjoy some additional relaxation activities, whether they be outdoor sports, soaking in a bath, listening to meditation music or getting a little more sleep, will really give your meditation a chance to blossom. Sometimes when someone says "I am unable to meditate", what they really mean is "my life is out of control, and I am too stressed to be able to sit still for just 5 minutes". So if a typical day for you involves rushing around in a stressful job that you hate, fighting with traffic all the way home and then storming in the front door of your house before starting an argument with your spouse, then it is understandable that you might find the noise in your mind a little hard to let go of! Having said all that, if you are someone who places a high value on inner peace (and you must be...otherwise, why would you be meditating?) then you owe it to yourself to address any aspect of your life that is causing excessive stress. Maybe your meditation is working for you after all. Perhaps it is working in this unexpected way...it is telling you to make positive changes to the way you live your life. A few corrections to your lifestyle may be just what the doctor ordered. Sometimes when people try to meditate, they feel an increasing sense of discomfort and unrest. Their stomach becomes tight, their mind seems to spin frantically. It’s as though meditation is making them feel worse, not better. While this is not a common experience, most people who meditate will experience this effect at one time or another. If this sounds like you, then let me assure you that what you are experiencing is perfectly natural. It does NOT mean that you are unable to meditate. Stress can really build up in your system over a long period of time. 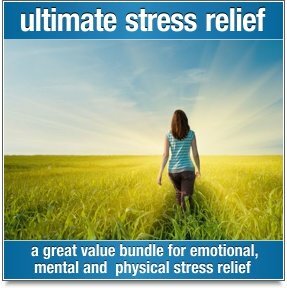 Life’s disappointments, strains, heartaches and traumas all leave a mark on your mind, and If you have built up a lot of stress in your system over time, then you may find it quite confronting when you begin to release those stresses. Most of the time, without even realizing it, you hold onto the stresses that are inside of you. It’s a natural human instinct to avoid pain, and we tend to hold negative emotions and painful memories at bay by suppressing them or ignoring them completely. In the long run, stress that is contained in this way will always find an outlet. Like a balloon that swells beyond its capacity, your stress will take the form of a physical illness (forcing you to rest), or it may result in a psychological or emotional breakdown of some sort. Meditation is a very natural form of stress relief. 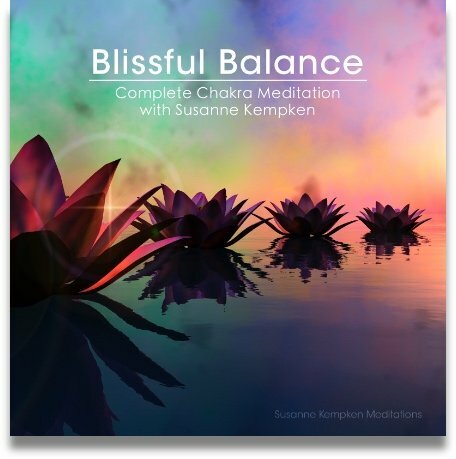 It will help you to release and dissolve all the stresses that you have built up during your life. But the mechanism by which meditation works to release stress is that of “letting go”. When you loosen your grip on yourself, when you give your emotions and your mind some room to relax, the out-flowing of stress can surprise you. You might be surprised at just how much “junk” you have inside you... “stinking thinking” as one of my meditation teachers used to call it. As you meditate, you will be releasing stresses from your body, your mind, your entire nervous system. Unfortunately, the process of releasing can sometimes be uncomfortable. As you release stresses, they can sometimes feels the same way going out, as they did when they were going in! Rest assured that while this might be uncomfortable, it is incredibly healing. It might feel as though you are unable to meditate, but in fact, you are meditating...it just doesn't feel quite like you expected! Don’t give up on your meditation, even if it does not feel quite as peaceful as you might have hoped for. If you do not face and release the stresses that you have accumulated within your body and mind, they will only continue to disrupt your quality of life in negative ways. My best advice is for you to allow any thoughts or feelings you might be having, even if you don't particlarly like them. The worst thing you can do is resist them! Allow your mind to wander, give yourself permission to feel stressed, angry, sad...whatever might arise. Simply sit in mindfulness of your inner calamity. I know...it's not that easy to do, but there is nothing you can do to accelerate this healing process except to give it permission to run its course. Be encouraged by the knowledge that this process will not continue indefinitely! As you gradually empty yourself of negativity and stresses your meditation will become deeper and more peaceful. On the other side of all this noise is a whole new, more peaceful you, just waiting to be found. "The sum of man's problems come from his inability to be alone in a silent room." - Pascal.